Demand for Apple’s new smartphone was expected to be huge, but the announcement that Apple had clocked up over one million preorder sales for the new iPhone 4S in just 24 hours, almost doubling preorder figures of the iPhone 4 fifteen months previous, surprised many with just how many orders the Cupertino-based company was able to take in such a short period of time. Allowing customers in the U.S, Canada, Australia, the UK, France and Germany to preorder the device on October 7, with mobile operators in the respective countries also taking orders for the device on the same day, Apple offered the iPhone 4S unlocked in every region except the U.S and Japan, providing its American customers with the choice of a subsidised iPhone 4S on either AT&T, Verizon or Sprint and Japanese consumers the choice of AU or Softbank. With the iPhone 4S costing around £500, depending on Apple’s pricing in other regions, but $199 on the U.S Apple Store, Apple effectively earned at least $200 million on its first day of preorder sales, a figure that will have continued to grow in the following days. Apple will make near to £500 for each iPhone in the long term, as carriers will pay the difference between the subsidised price and the cost of the handset itself, but as it is not known how and when operators forward the money to Apple, it has not been included in the comparison. 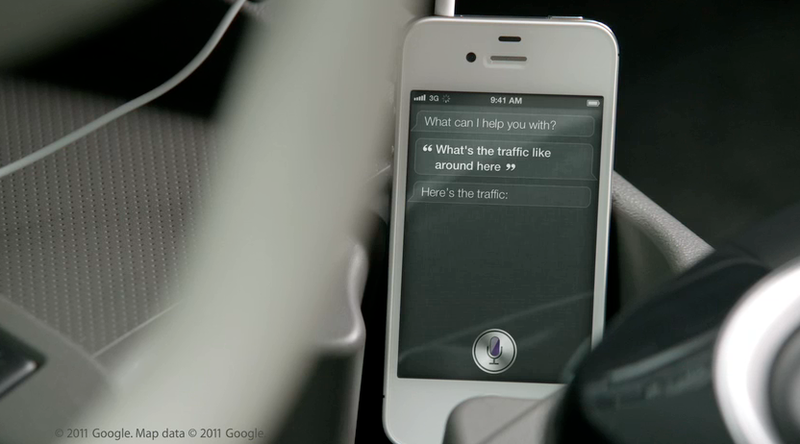 Because Siri hooked up APIs from around the world in a very cool personal assistant. It was one of the first apps I loaded on my iPad. Why? Because you could talk to it with your voice and have it do things from getting you a taxi to having it buy movie tickets for you. The value in unlocked is huge. This shows Apple is very willing to buy its way into the new mobile web and the new API-driven web. This also could be a major cornerstone in how it competes with Google. Some were underwhelmed by Apple’s iPhone 4S announcement but many were impressed with Siri, a technology that would be able to schedule appointments, read you your messages and transcribe replies, provide you weather updates, answer questions and learn about the user intelligently, simply by analysing voice input via iPhone 4S and matching it to the relevant query and answer. Sales of Macs, iPads and iPhones before the iPhone 4S preorders opened would have easily surpassed the $200 million figure that Apple will have earned in one day of sales (when in reality it will have made much more when including unlocked sales in Europe and Canada), but it shows that if it had any doubts the new contextual personal assistant would fail to impress, it took Apple just 24 hours to recoup the money it invested in the company that developed the technology. Impressive.